The years directly following the Second World War saw huge transfer of the Caribbean Islands population. It was, in fact, the largest outward movement of people from the British Caribbean Islands, with many thousands ultimately moving to Britain in search of a better life. 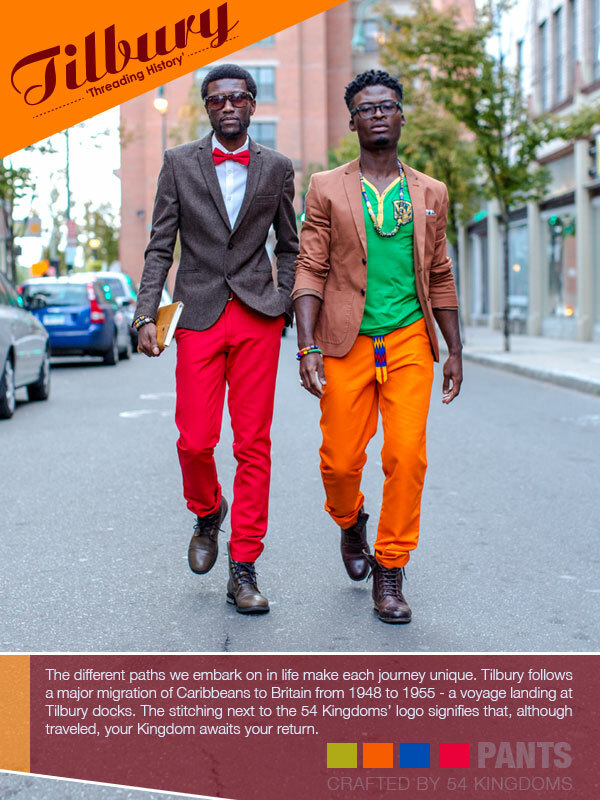 It is this history that inspired our Tilbury design — part of our highly anticipated Ananse collection, launched in 2013. The name Tilbury is taken from the story of a major West Indian Islands migration to Britain between 1948 and 1955; a voyage landing at Tilbury docks. 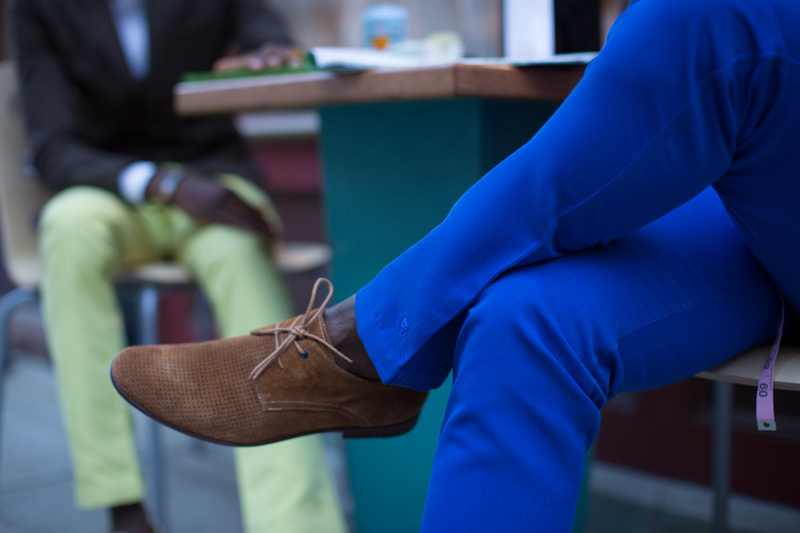 The first products from our Tilbury line are men's colored pants; a growing trend in the fashion industry carried by a lot of major retailers. 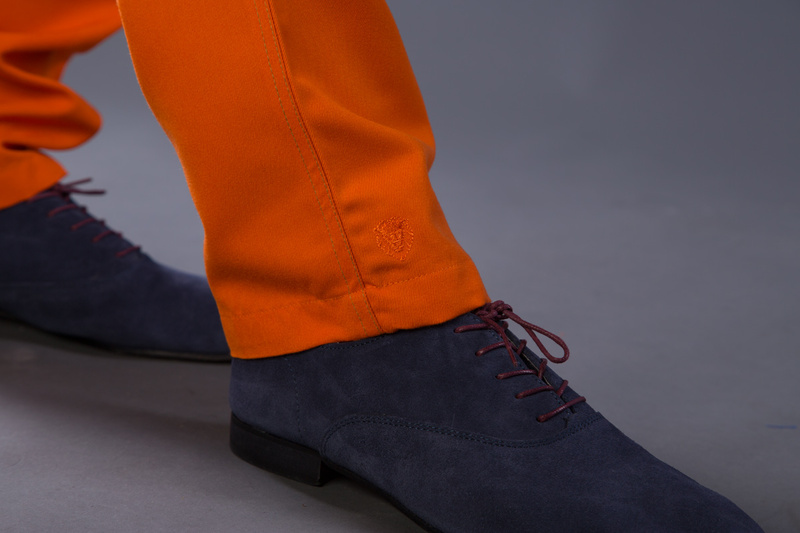 Two elements incorporated in the Tilbury design makes it unique: on the outseams of each colored pant are different color thread stitching—symbolizing the different journeys/paths we embark in life. 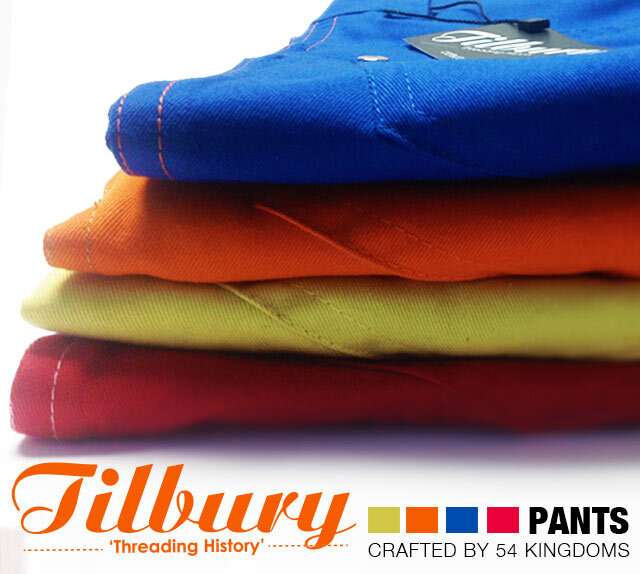 Close to the bottom of both outside legs of each pant is an embroidered 54 Kingdoms logo serving as a reminder that, although traveled, your Kingdom is anchored, and awaits your return. Life is a colorful journey!